200 S 10th St, Richmond, VA 23219. Members attend the 2016 Symposium for free. This is the option for nonmembers who wish to participate in the entire day's activities. But you should really join first. Then come back and register at the much lower member rate! This is for non-VEBA members who want to attend the lunchtime panel only. Lunch is available for purchase through this option. Update: The lunchtime panel is now FREE to members AND nonmembers! Just pay for lunch if you'd like one. 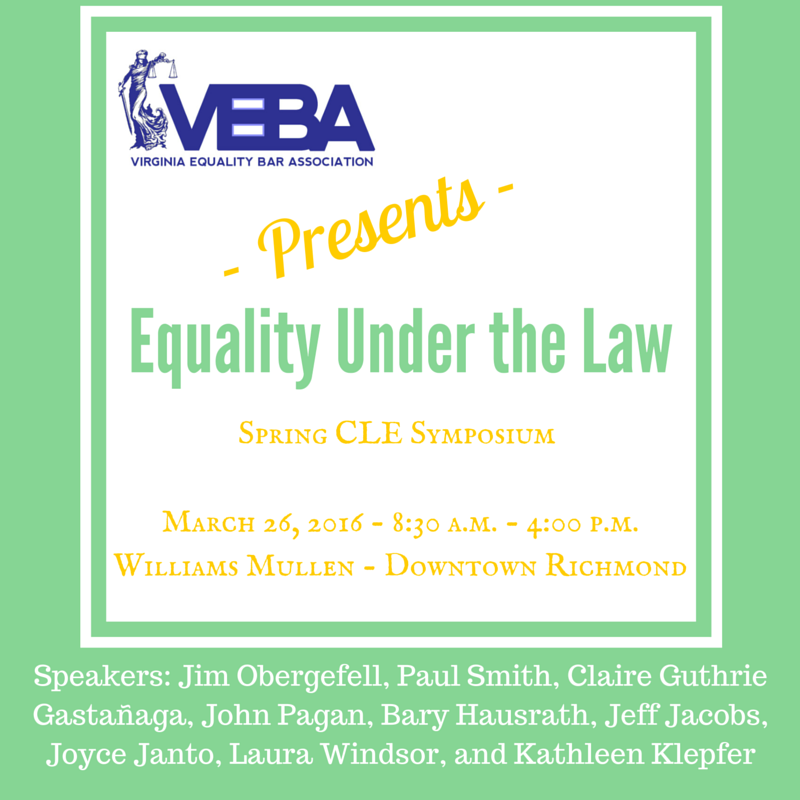 Please join the Virginia Equality Bar Association on March 26, 2016 for our CLE Symposium. Boxed lunch selections are made during the registration process. Registration for the lunchtime panel only is also available. A panel discussion of the interplay between LGBT equality and religious freedom and a review of the various “religious freedom” and “religious conscience” bills that have been introduced around the country.